In a quest to try to organize my boudoir (I say “quest” because I share the boudoir with my husband and my desk doubles as my vanity…ugh…this is why you’ve yet to see photos of the “boudoir”), I was in need of one place to store all of my cotton. 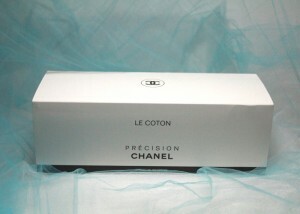 Cotton balls, Q-tips and my Chanel Le Coton, that is. 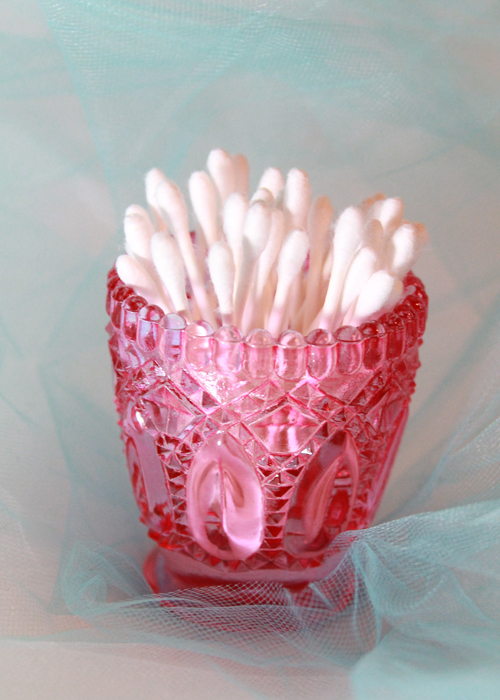 Previously, I had my Q-tips in this little pink glass votive holder (that I picked up at the dollar store or something). 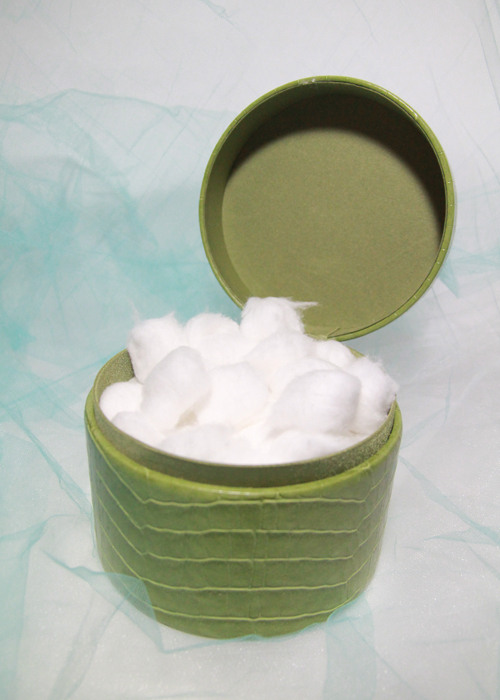 I had my cotton balls in this green faux alligator skin container. 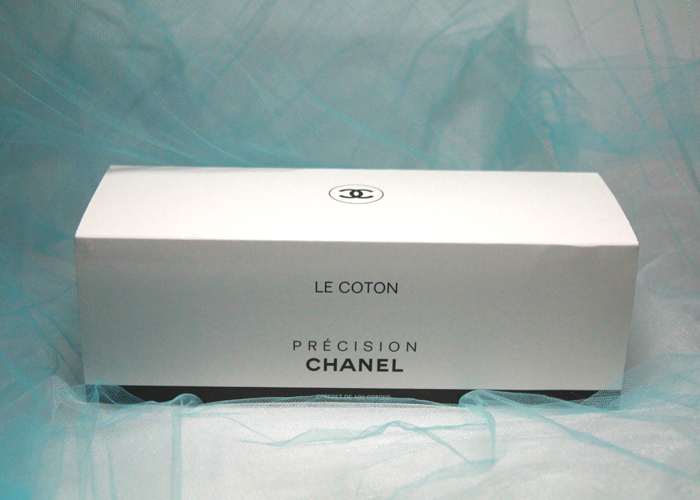 And, my Le Coton was in it’s original packaging. Then, one day on a shopping trip to Ulta, I saw this perfect little container that looked like it was made specifically for my three of my “cottons”. 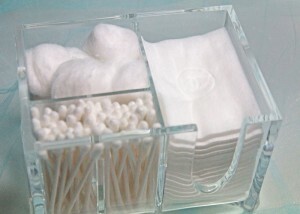 Clearly it was made for Q-tips and cotton balls, but it was really special because of the perfect space for the Chanel Le Coton (which I guarantee the manufacturers didn’t have in mind). 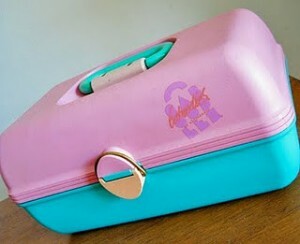 This container is made by Caboodles. Yep, that’s right. It’s the mature version of that one you probably had years ago. 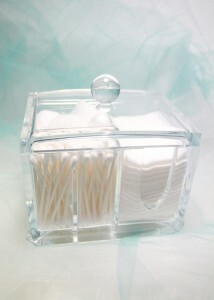 I think I was in 6th grade when I got my first Caboodle. It was the same pink/mint green/peach one as shown in the below photos. Although mine was decorated extra special with some sweet New Kids on the Block stickers. If I’m not mistaken, I believe this fine antique still lives in my mum’s attic. oh my god! i had a caboodles growing up! hahahaha they came in all of these wonderful punchy colors. ok, they just built an ULTA store kinda near my house. 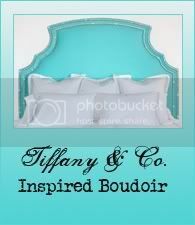 i am so going there! hahaha i love your new caddy that holds everything. looks so good! i need one of those in my life! HAHAHAHA great post!